Spring 2019 tour plans for Mile Twelve! I’m delighted to be working with dynamic young five-piece Mile Twelve to book their debut UK tour, planned for March 2019. 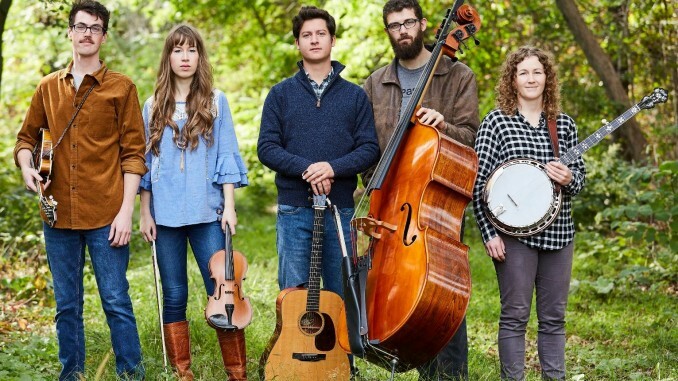 This spectacularly talented young band is based in Boston and won the 2017 Momentum Award at the IBMA (International Bluegrass Music Association) Awards. Walking the line beautifully between original and traditional bluegrass and American roots, the quintet is equally adept at performing classic bluegrass standards, their own fine original material and the occasional fun and creative cover version (like the clip below). Although this will be their first visit to the UK, Mile Twelve has already performed extensively throughout the USA, Canada, Ireland, New Zealand and Australia since the band’s formation in 2014. In October 2017 they released their debut full-length album “Onwards”, featuring almost all originals, and drawing on a range of diverse influences. Check out this page for full details on Mile Twelve, and keep your eyes peeled for more on those tour dates! Interested bookers can contact us here to discuss availability. Evie Ladin & Keith Terry – July UK tour dates out now!